8 of 12 Days of Lipstick & Style…Give the gift of style! On the 8th day of Lipstick & Style… give the gift of Style! Looking for that last minute  for someone special? It’s not to late to give the life changing gift of style to someone you love!! 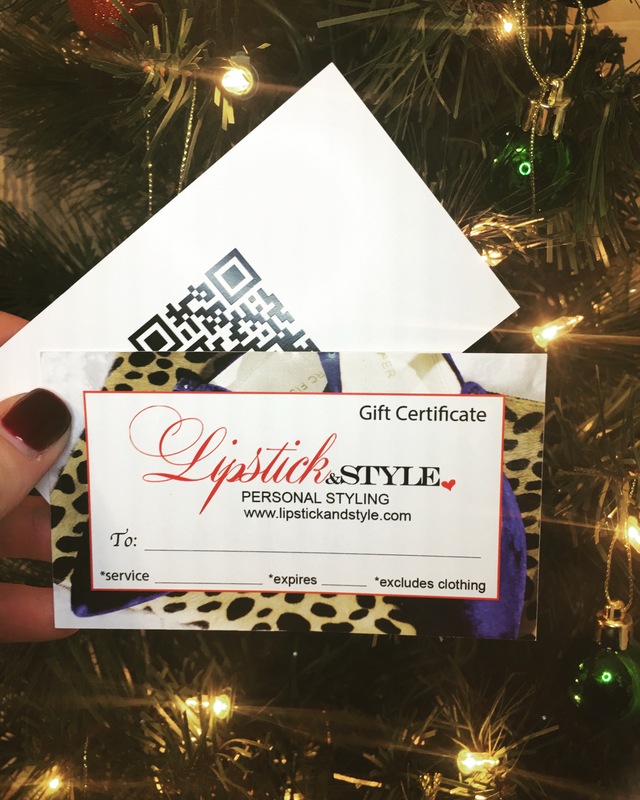 Contact michelle@lipstickandstyle.com to purchase a gift card today! Upon purchase, gift cards will be either emailed for you to easily download or have a gift card sent to you directly! « 6 of 12 Days of Lipstick & Style…Accessories are a great way to complete any look & a GIVEAWAY!